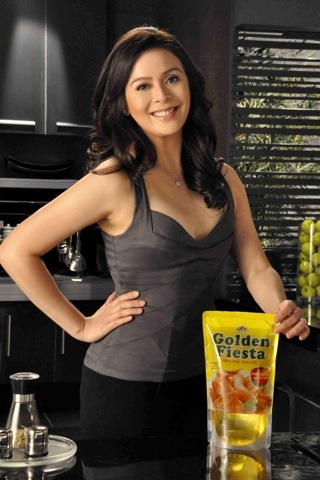 Award-winning actress Dawn Zulueta loves cooking for her family, especially when she's not too busy taping for her shows. She enjoys being in the kitchen and prepares meal for husband, Davao del Norte Rep. Anton Lagdameo, and their two children. 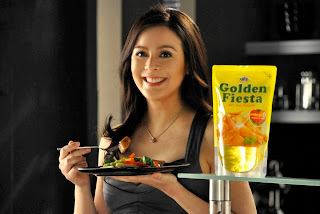 Doing her kitchen chores make her even more happy upon discovering a healthier alternative, the Golden Fiesta Palm Oil. Cooking oil has been a very important recipe in the kitchen especially for frying. We need to choose a product that is very safe, can make good, healthy food for the whole family. 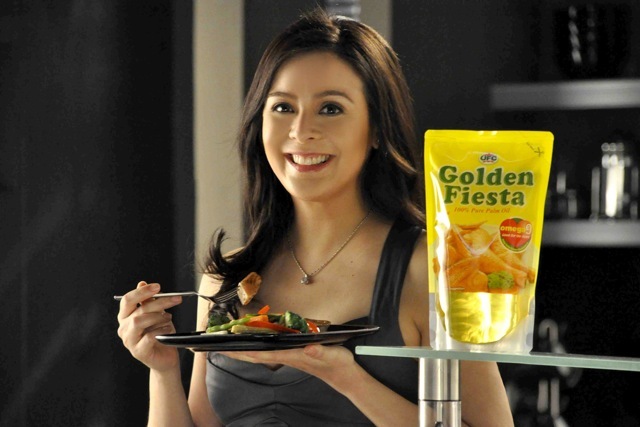 In her latest TV commercial, Dawn has proven that less is definitely more. With Golden Fiesta Palm Oil, she gets "less worry, more healthy." Golden Fiesta Palm Oil is made from 100% premium quality refined palm oil and contains Omega 9. Omega 9 has Oleic acid as it main component that helps reduce the risk of arteriosclerosis, cardiovascular disease and stroke. Dawn enjoys using the product in cooking stir-fried vegetables, French fries, fried chicken and burgers. And she owes it to her husband who taught her how to cook. Beginning March 2010, Golden Fiesta Palm Oil one-liter pack can be bought at PhP15 less than its selling price, while the two-liter pack is less PhP30. We not only save our heart from toxins but we save money as well.